America's Most Patriotic DVD Video features America's Classic Music and Amazing Video. A perfect Patriotic DVD video for Schools, Churches, Conventions, Military bases and any American looking to celebrate this great land and her music. America The Beautiful - DVD Preview Clips Here! Our Patriotic DVD Video is touching hearts across America. 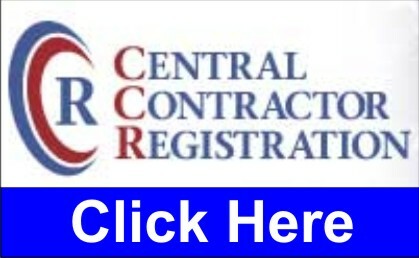 Please review some of these comments recently received from our customers. This DVD Video is Broadcast Quality! "This is exactly what I have been looking for to use during the Star Spangled Banner on my elementary morning news show. Beautiful and patriotic pictures and video, and scrolling lyrics so the students can read the words as they sing. Highly recommended." "This video is fantastic. It's been years since I served as a US Naval Submarine sailor. Seeing this video brought back so many feelings of patriotism that have waned over the years. As the Star Spangled Banner played, I found myself with a tear in my eye and my hand over my heart. Great job. I feel refreshed and glad I served the country I love so much." "What a great video!! It brought tears to my eyes with hearing the music from another room and remembrances of time serves in the US Army as a medic and radiologic technician in a MASH unit. I agree with Lane, I am glad I served the country I love so much." "We used the product as a background, over which we superimposed the names of current and former soldiers, in a corporate video for a company meeting. We did indeed like the video, very much!" "Yes I enjoy it very much and have played it many, many times I love it!! " "We played (and replayed it) it after the 4th and enjoyed it very much." "I'm the worship media person at a church here. We used the DVD to enhance our 4th of July service both as a postlude and to sing to. The result and response was great many people commented on the compilations. Thanks for a great product!" "I loved the video and my second grade class did, too. I especially liked that the video can be played different ways. It was nice to sing along with the songs by showing the lyrics. Keep up the terrific work!" "I thought it was terrific. Great video! Keep me in touch with any new patriotic video/DVD." "The video was more than I had expected! I used played it at our church at a special Memorial Day Service. I loaned it to a Social Studies teacher to present to his class, along with a DVD by Red Skelton about the meaning of our Pledge of Allegiance. Thank you for providing a great video!" 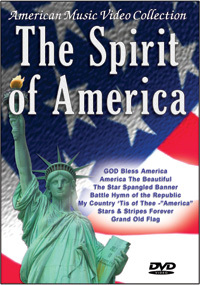 "I purchased the 'The Spirit of America video on behalf of my church. I was heading up the committee for the forth of July annual picnic. We wanted to have a very patriotic service at the end of the day of fun. I wanted to have some patriotic music for the service and as I was searching the web I found your DVD. It is perfect! I had thought about creating a power-point presentation but I was run short on time. Your video was exactly what I was thinking about. It is very well done. The music and video could not be better. We are going to continue using this DVD through out the year. We called our fourth celebration 'Heritage Day', where we celebrated our spiritual, national and cultural (rural/agricultural) heritage. The scenes in the video were the prefect blend of urban and rural peoples and should appeal to most Americans regardless of where they live. I have recommended this DVD to several other churches. The options of play on the video worked very well and gave us the benefit of matching the right audio for to each situation in our service. Please keep me informed of any new products that you develop. God bless you and your work. It made our program so much better. Again, thank you. " "We used the video as a background to our choir singing America the Beautiful for our 4th of July service July 1. The video is wonderful and I was pleasantly surprised at the number of choices of how to play the songs with and without the words on the screen. The church service at our small church would not have been nearly as moving without the video. Thank you for a great DVD!"